American Products warrants that the products manufactured by American Products shall be free of defects and workmanship for 5 years from the date of shipment. Items integrated in the enclosure, not manufactured by American Products will utilize the original manufacturer’s warranty. It is the responsibility of the buyer to communicate any special environmental concerns in which the enclosures will be utilized. Special materials may be required to allow proper corrosion resistance for harsh environments. The warranty does not cover enclosures used in applications and environments for which they were not designed. Warranty does not cover abuse, modifications by others or reimbursement for unauthorized rework. For products shipped outside of the United States and Canada, American Products warrants that the products manufactured by American Products shall be free of defects and workmanship for 1 year from the date of shipment. Items integrated in the enclosure, not manufactured by American Products will utilize the original manufacturer’s warranty. Enclosures found to be defective will be repaired or replaced with the same or comparable product. 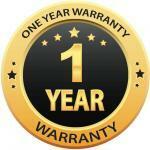 All warranty claims must be communicated to our customer service (855) 736-2135 department to obtain an RMA number. For warranty claims in the USA and Canada, freight will be managed and paid by American Products. For warranty claims outside of the USA and Canada, the customer will be responsible for managing freight and freight expenses. American Products shall have no liability or responsibility to the purchaser or any other person(s) for any special, incidental or consequential losses or damages caused or alleged to be caused directly or indirectly by the product. Except for the express warranty stated above, American Products makes no other warranties with respect to the product, expressed or implied, including but not limited to merchantability or fitness for a particular purpose. Call us at (417) 736-2135.